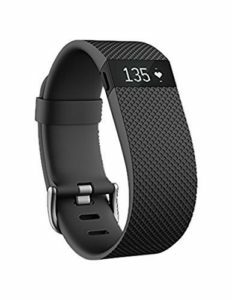 Track your activity levels, sleep patterns, and heart rate data with the small Charge HR Wristband in black from Fitbit. This wrist-worn activity monitor tracks how many steps you take, your distance traveled, calories burned, floors climbed, and how many minutes you stay active. Thanks to its onboard PurePulse technology, the Charge HR also provides continuous and automatic heart rate data. You can use this heart rate data to monitor your intensity, analyze the effectiveness of your activities, maximize your workouts, and more—all without the need of an additional heart rate chest strap or accessory. The Charge HR houses an OLED display that lets you see your progress in real-time throughout the day. In addition to activity tracking and heart rate data, the Charge HR is built with Caller ID, so you can see your incoming calls when your phone is nearby. 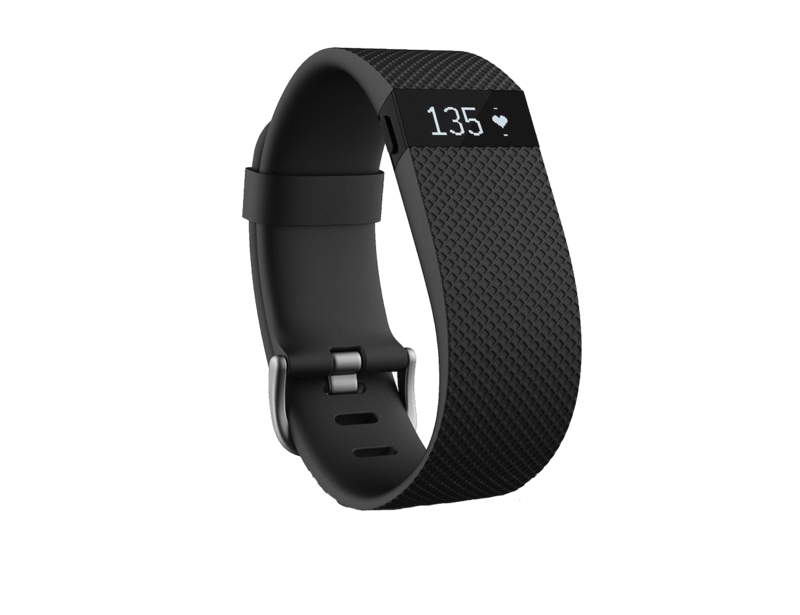 Additionally, it features sleep tracking capabilities and is equipped with a silent vibrating alarm to help you wake peacefully. You can sync your stats wirelessly to compatible mobile devices and computers. Simply download the fitbit app to sync with a smartphone, which is available for iOS, Android, and Windows Phone devices. The Charge HR’s built-in rechargeable battery lasts up to 5 days before needing to recharge. Track workouts, heart rate, distance, calories burned, floors climbed, active minutes, and steps. See daily stats, time of day, and get call notifications from compatible devices. Get real-time run statistics, workout summaries, and review your routes and splits on the mobile app. Use the Charge HR to automatically track your sleep at night, then review your trends on the dashboard. You can also set a silent vibrating alarm for peaceful waking in the morning. The Charge HR automatically syncs your stats wirelessly to your computer and smartphone, so you can see your progress on-the-go and see detailed charts and graphs for tracking your trends over time. 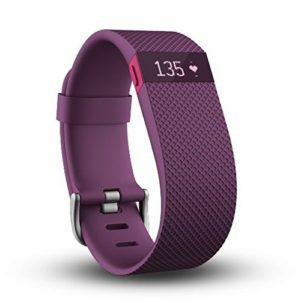 Download the Fitbit mobile app to sync with a smartphone, which is available for iOS, Android, and Windows Phone devices. The built-in rechargeable battery lasts up to 5 days on a single charge.